Autumn is here, even though here in Cyprus it still feels like summer I have already started to look at how to decorate my home accordingly. I love to look on Pinterest, in catalogues and over the internet for inspiration to change up my home. I especially love IKEA catalogue which not only has amazing items but they give you great ideas too. Autumn reminds me of warm red and orange colours, smells of cinnamon and citrus, nature and moreover the feeling of warmth. Accomplishing these smells and feelings through our home decor can all be done with only a few changes within your house. 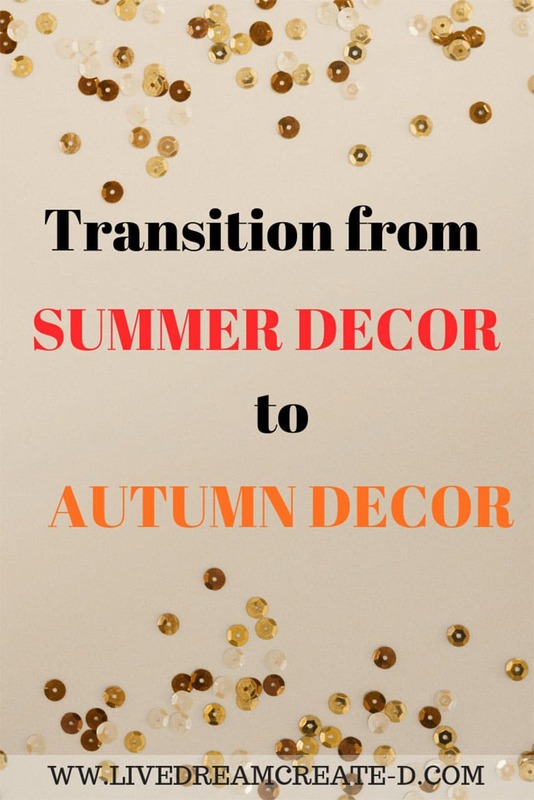 Using some tips and tricks you can swap out your summer décor to your fall décor and also add a few new pieces too. I mean who doesn’t like buying new and trending houseware items! 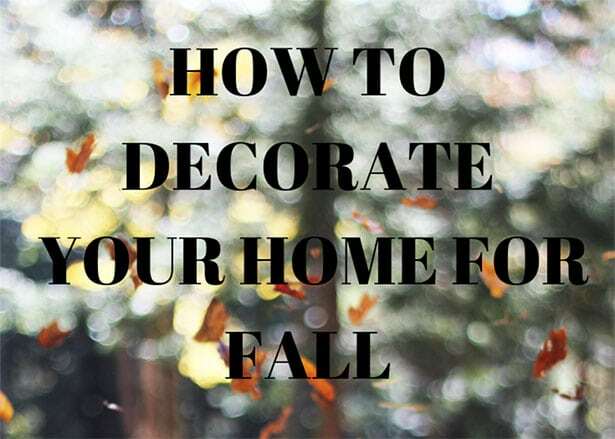 You don’t have to spend a ton of money to make your house look cozy and warm and ready for fall. You just have to be smart about what you use and what you buy. 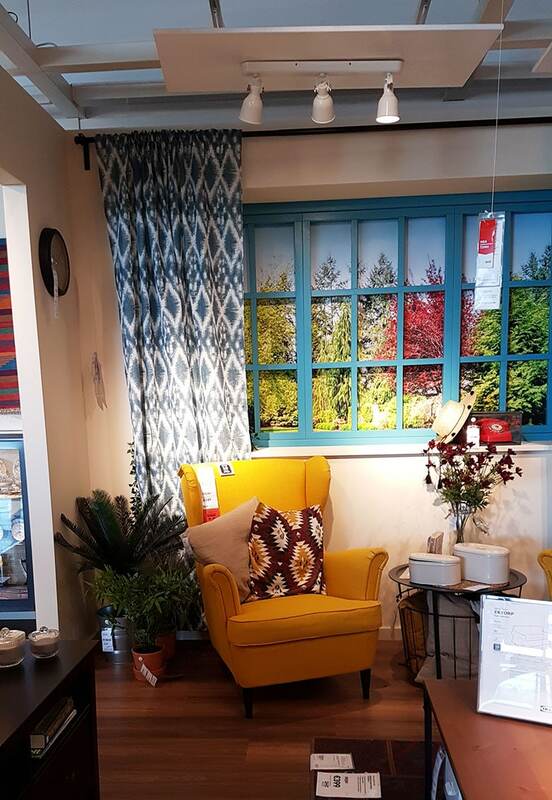 Ikea always has great ideas for home décor and they are usually easy to use all year round. You can also buy glass ware and decorate them according to the season. The easiest way to make your kitchen look more cozy and like fall has come is by adding a few pumpkins, citrus fruit and cinnamon. Now you could get decorations or the real things here, whichever you decide make sure to style them pretty and not just throw them here and there. It’s always a good idea to cluster a few pumpkins together rather than one here and one there. Also you could get an orange and cut it up into slices and place into a saucepan with a few cinnamon sticks, add some water and bring it to boil. This will give you that citrusy but warm smell for the whole house. Try changing out your kitchen table runner, place mats and other kitchen linen to colours of autumn. A nice deep burgundy or darker green colours even natural colour tones which can be incorporated later on for winter décor. Another idea is to showcase some of your baking ingredients in clear jars and have a few decorations with them too. Make a corner of your bench a showcase of your cooking. Display a cake you made, display the cookbook you used, put a few of the ingredients like oranges, lemons, caramels etc. This is my favourite tip! Buy some candles that smell of cinnamon and maybe also citrus smells too. Even when you don’t light them they still give off their pleasant aroma. They make for great decorations but also have a purpose…to smell wonderful. Change your throw pillows for warmer tone colours like a deep burgundy, green or even navy blue. Another ideas is to have fluffy throw pillows and tassel pillows too. 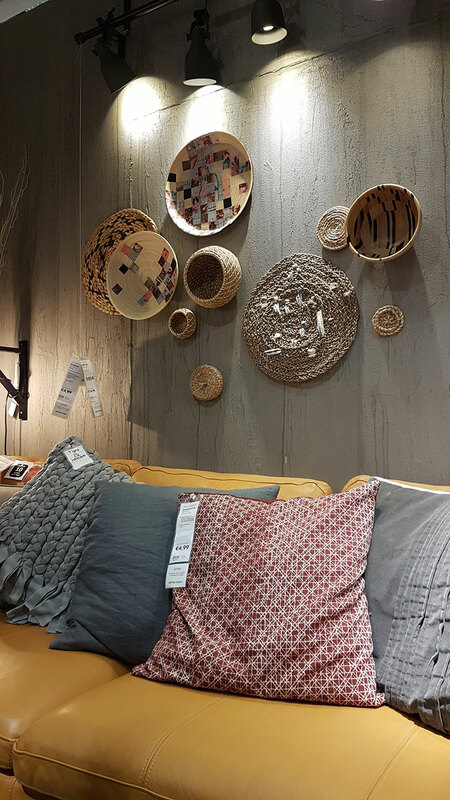 Mix and match all different colours and textures of pillows can make for a really cozy and inviting feeling. 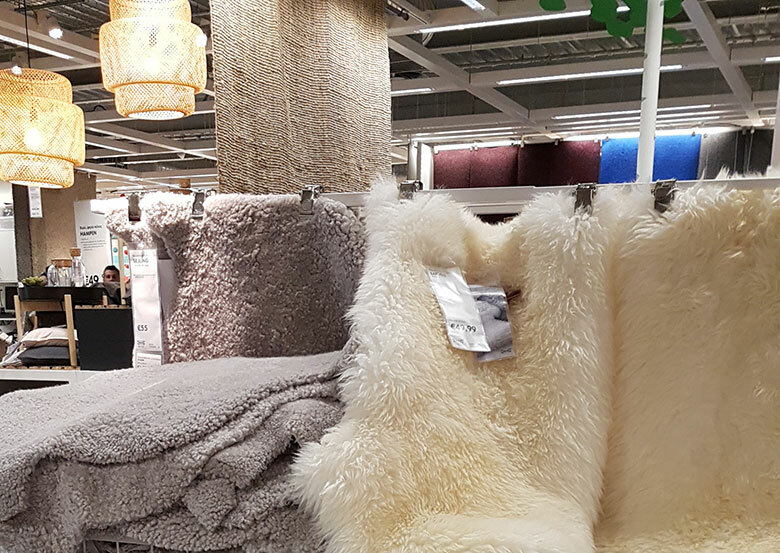 You could also get some faux fur rugs to place either on the floor or drape it over your couch instead of using a throw. Add a few books on your coffee table or your bookshelves to enhance the cozy vibe. Books give us the sense of a reading nook, somewhere to curl up and read, so this is a great touch for someone who doesn’t display books often. Incense sticks are also a wonderful idea as they give off a nice clean refreshing scent, welcoming your guests and yourself into your home. 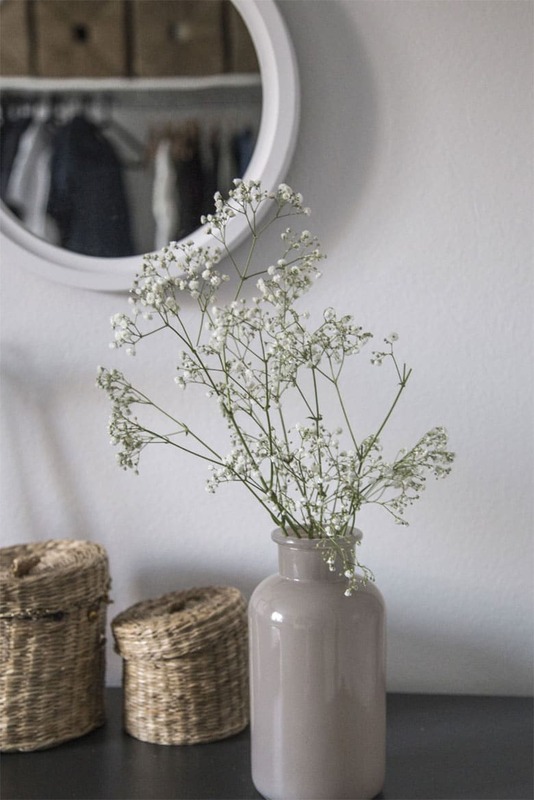 Decorate a vase with twigs and branches. Maybe even decorate with pinecones and greenery. Be creative and bring the outdoors indoors! Put new, white towels in your bathroom to give a nice clean and fresh feel to it. Then you are able to decorate your bathroom with accessories according to the season. Add either and incense jar or nice lightly scented candle above the toilet or on a shelf if you have one. This will add to the fresh look and smell of your bathroom. 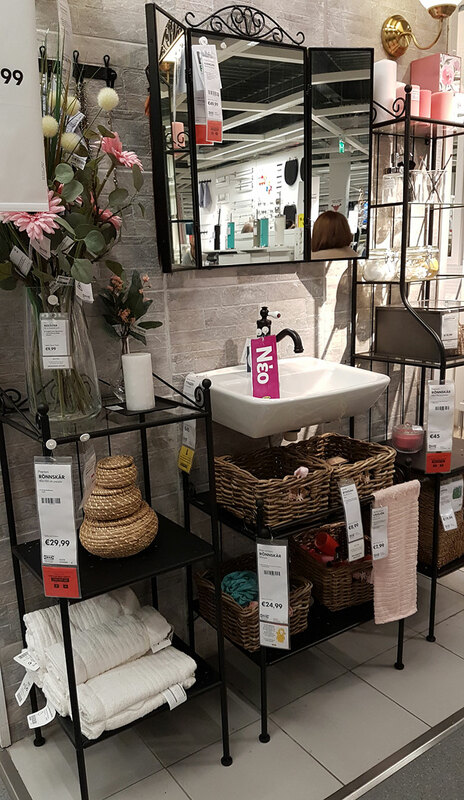 If you have a bath, get an over the bath wooden caddy and place a small vase with a few freshly cut flowers and a small face towel rolled up nicely as décor. You could also add a small candle or bath salts or even your soap, shampoo etc. Swap out your bath mat for a nice fluffy one that will keep in with the natural tones but also discretely hide and unwanted dirt and dust. A personal tip that I do is to buy toilet paper that is pretty either design or colour. I like to match the colour to my bathroom tiles that are a soft peachy colour. So I either choose a colour to compliment the peach or to match it! This is up to you though; some people think it is too much. First things first here, change your bed sheets and duvet. Opt for new fresh linen and keep to clean white colours. This way you can play up with colours the rest of the room. There are really great designs with the white linens too, so don’t just have plain white linens. Add different textures and colours of throw pillows to your bed. Some options are: tassels, fluffy, macramé, pom-pom ones and even plain material. Mix and match is always a good idea. Also play around with the colours. Choose a colour palette and play around with that! Place a throw at the end of the bed and I really like the chunky knit ones or you could also get a thinker knitted throw. Whatever you fancy just try to keep with your theme. Stack a few books on your bedside table with a small candle for that extra homey feel. 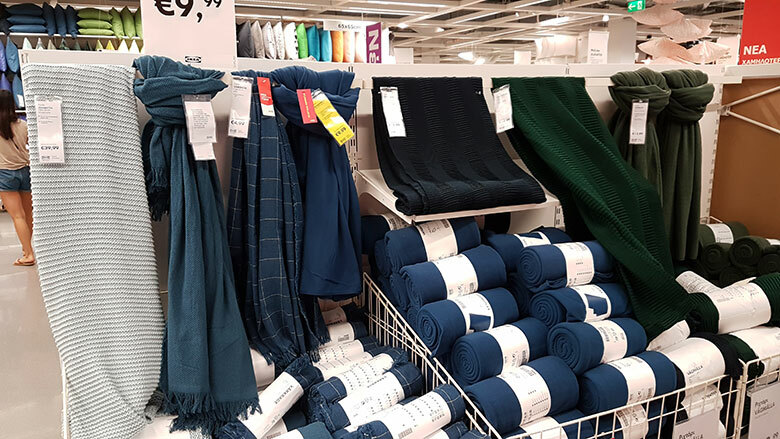 Depending on your budget you could also buy new curtains to match your linens or give a new cozy look to the whole room. There are some pretty ones out there with tassels and even pom-poms; IKEA has an amazing range to choose from. 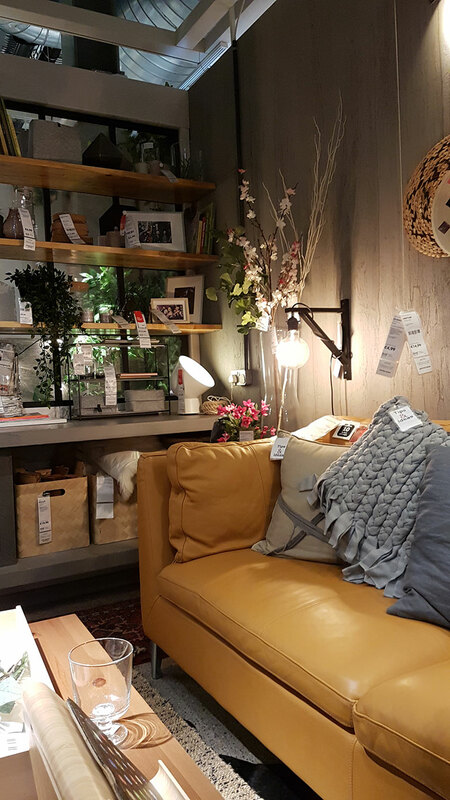 These are the main areas of your house that can easily be changed up to be cozier and have an autumn feel to them. I have kept my tips for the bathroom and bedroom more neutral so that you can accent it with a few autumn vibes. Baskets and you fill them according to your room and season. For example put throws if in bedroom or living room, wood if next to fireplace, fruit if in kitchen and so on. 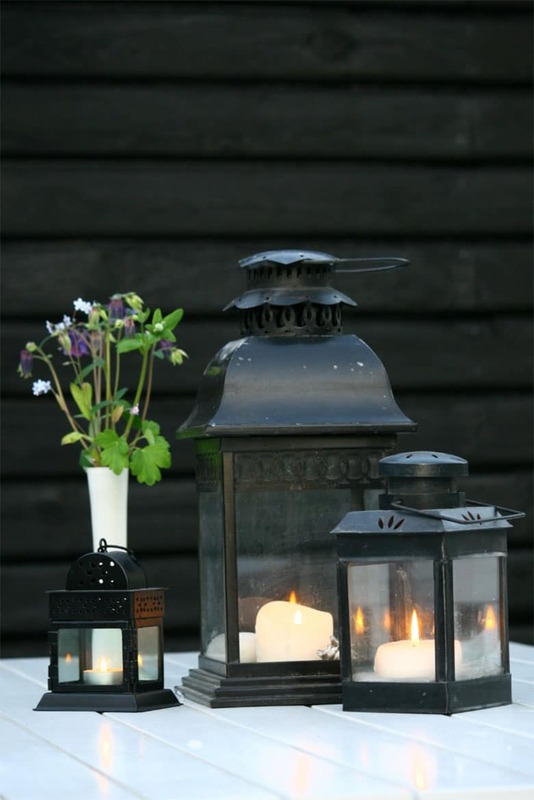 Candles to create atmosphere and also to light them for their beautiful aromas. Books for a reading corner and give a cozy vibe. When you have friends and family over put a saucepan with water, orange cut into slices and some cinnamon stick and bring to boil. This will make the house warmer and smell great! Even if you only do a few of these tips I am sure you will start to finally break free from summer and transition into autumn much easier. It is always fun to decorate the house and maybe even buy a few new items to decorate with. Another idea for those on a budget it to reuse, repurpose and move around some of your existing décor into other rooms. So what you have in the kitchen try to incorporate it into the living room. I hope I have given you all a few ideas as to make your home more cozy and bring nature inside to feel like autumn is really here. If anyone has any more ideas or would like to add to my suggestions and tips please share with us all your tips too. Comment below one of your own tips. What helpful tips! Transitioning my home from summer to fall is my favorite. I love bringing out lots of pumpkins and my warm-scented candles. Alexis, we have the same ideas! Bring on out those scented candles! These are all great ideas. I love swapping my scented candles out and changing the wreath on my front door according to the seasons. Emily, these are such simple ideas that do give your home the feeling of cozzyness but also that the seasons have changed. Sometime we do not feel the weather changing but by adding a few decor items here and there, really help you feel like it will change and soon! I love these ideas! Fall is my favorite season, and I always enjoy bringing out the fall decorations. Love the tip too for simmering orange and cinnamon. Thank you Jennifer. I promise you the simmering of orange and cinnamon is AH-MAZING! Once you try it out you wont stop. Oh and feel free to experiment with other fruit and spices. I sometime use anice seeds and also some lemon peel. I always change out the pillows and throws to more deeper colors that goes with fall. Layering is always good and bring out the candles. Great ideas with layering! Thank you for stopping by. I love that it doesn’t have to take a lot to swap things out to make it cozier for fall! Love all the fall decor that’s out right now! I’d like to add more decor to my bathroom. Maybe a little something on the living room table also. I love the lanterns with the candles. I am glad that I was able to give you some inspiration for your own home. I too love candles as you read in my post, I have suggested them for anywhere in the house. Hahahaha. I am so excited for fall! I can’t wait! Too bad I don’t have many decorations to change out from summer to fall! Thanks for sharing! Brooke thank you for your kind words. It may be hard to buy new decorations every time the season changes but try to use what you have, for instance when you go food shopping and you buy let’s say your seasonal fruit like oranges, then showcase them in a fruit bowl on your kitchen table. I hope my tips will give you more inspiration for your home. Feel free to chat anytime! Here in Florida we have to pretend it’s fall! Decorating always helps. Hahahaha! Thats something like here in Cyprus! It is still so hot that I somehow don’t want to change my decor just yet. What thoughtful tips! I love the orange and cinnamon sticks idea for a nice inviting fall scent. I have always been bad about rotating decor during the seasons, this helps break it down for me like ABC. Thanks! I am so glad to be helping Brandi. It was always hard for me too but for the reason that is still feels like summer here in Cyprus. Good luck with the decorating and if you need to chat or would like some more tips I am here. I LOVE this post!!! Such great ideas!! 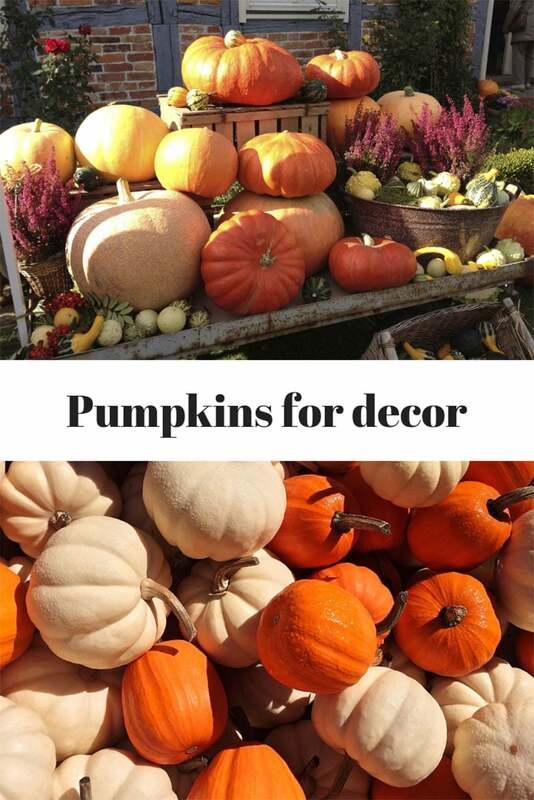 I love decorating for fall almost as much as for Christmas so I am loving all these ideas!! Thank you Diane for your kind words. I hope you get inspired to start your decorating. Deborah, this is so true. I love finding simple solutions to make my home look wonderful without breaking the bank. I love spring in Australia, I was born in Australia and so I know that my post on autumn decor might not be exactly what you need now but some of my tips, like the twigs, do make sense for spring too! Hope you enjoyed my post. I love all your tips. I get a TON of ideas from pinterest too. I think the favorite tip for me from your list would be warming up cinnamon and cloves on the stove. Makes the whole house smell inviting. Oh thank you Mary! Indeed it does warm up the whole house and it also give the house a nice smell to it. I also do this when I have guests over, they feel right at home when they come.